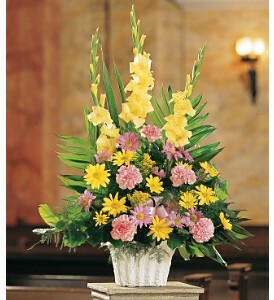 During a memorial service, flowers always play a very important role to set the mood within the vicinity. Different funeral flowers are being added in the entrance of the venue, around the remains of the deceased and even on top of the coffin. If you are planning to send a friend some flowers for the death of their family member, there are certainly a lot of things that you need to think about before sending one. It is always better to go to flower shop that you know which will be able to whip out wonderful funeral arrangements when you need them. Death can be inevitable so keep the contacts of flower shops in your personal directory for future use. Before sending flowers, you need to ask the recipient family if they will be allowing flowers to be sent to them. This is usually not necessary because almost everyone will find this gesture thoughtful but there are some people who would prefer cash donations over flowers. Also ask the bereaved family if they will be holding a memorial service for the deceased. This is important because this will determine the type of flower arrangement that you will be sending. If a memorial will be done, then you need to pick out flowers that are used for visual appeal. Standing arrangements, wreaths and floor arrangements will be very appropriate for the funeral services. There are also families who would skip the memorial and just go on with the cremation or the burial without any special ceremonies. You can still find a way to send them flowers. A bouquet with a card that says your sympathy message is advisable. Flowers in baskets are also very common simply because they can easily be transported from one area to another. Some people prefer to send flowers that go on top of the coffin. If you want to send one of those, always ask the family first if they have already ordered that flower piece for the coffin. If not, then you can ask to sponsor that for them as a sign of sympathy. “Looking Through Your Eyes” – performed by LeAnn Rimes Don’t Want a Boring Funeral Service?